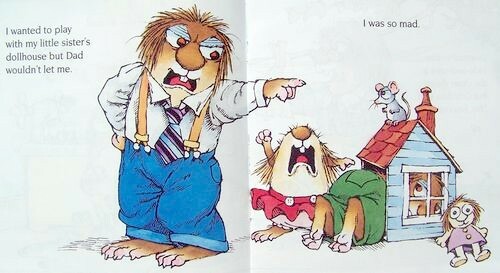 Mercer Mayer's very popular Little Critter stars in a picture book about feeling angry. 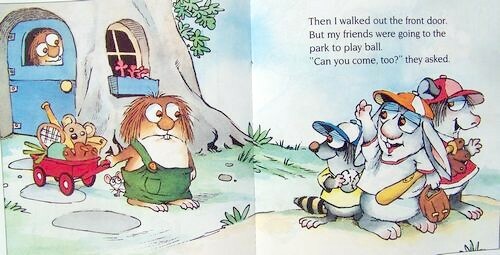 With minimal text and funny illustrations to spell out every new situation, the book shows the Critter family saying no to everything Little Critter wants to do. He can't keep frogs in the tub. He can't help paint the house. Finally, mad at the world, Little Critter announces he will run away. When pals come by and ask him to come and play baseball, our young hero's mood quickly changes. 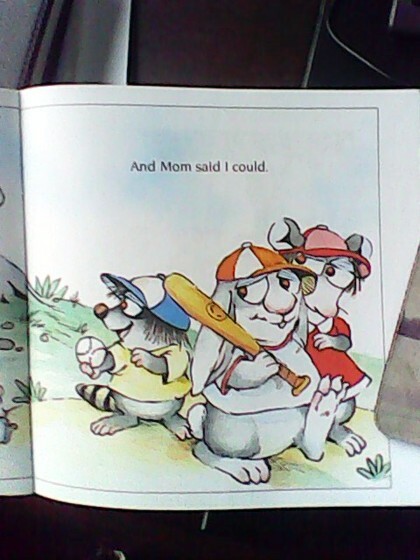 He grabs his bat and heads off for the game, telling himself he can run away another day if he is still so mad. 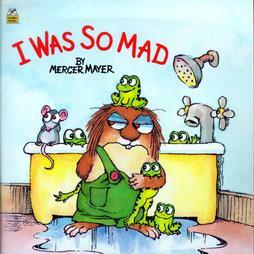 My husband and I love to read "I Was so Mad" along with our 21 month old daughter. 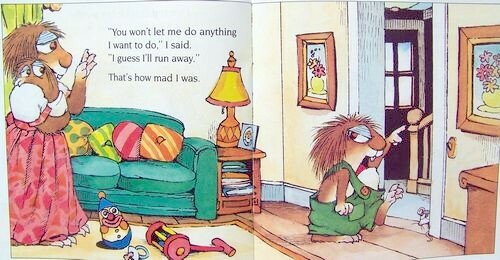 The short story easily depicts the everyday frustrations that little ones run into and their feeling "mad" when they can not do what they want but then finding an alternative that does make them happy. 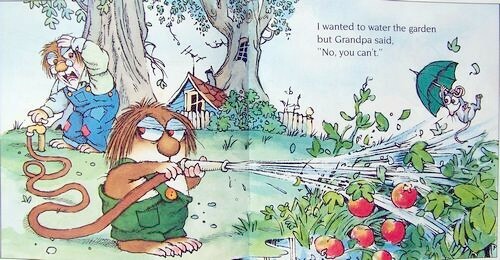 Our daughter loves the pictures as well as helping us read along and say "So Mad" at the end of many of the pages. All in all- it's one of our favorites. 我和孩子都很喜欢这套系列读物，尤其是这本和《just forget》。（孩子4岁） 这些故事都是平时宝宝和我们都能遇到了。相当不错。现在宝宝生气，还会来一句“i was so mad"!